I took this from Ronnie's blog, you can check hers out HERE!!! I just think it's fun to learn more about bloggers! -Nicknames: Well, that depends on who it is. I'm "Babe" to my hubby, Son-Son to my best friend, Sonj to my sister, Blondie to my dad, Mommy to my daughter, Starryskies to you guys! -Zodiac Sign: I'm a Virgo. -Occupation: Stay at home mommy! Hopefully to one day be a freelance makeup artist (I've also seriously considered working in a bridal boutique, I'm obsessed with "Say Yes to the Dress," "Amsale Girls," and those types of shows). -Hair Color: Oh boy haha. Well, my ends are blonde, the middle is brown, and the roots are brown with blonde highlights. I have like 700 colors in my hair. -Best Feature: I guess my eyes. I've always gotten a lot of compliments on my hair though. -Height: 5' 5 1/2" holla! -Braces? : Not anymore. I had them when I was in middle school. I hated them. -Glasses? : Nope. It's weird. I'm like the only one in my family who doesn't wear glasses or contacts. I'm sure they'll be coming later in life! -Tattoos: None yet. I really want one. But I'm not sure where to get it. I'm a huge fan of ribcage tattoos but I'm not skinny so I'm thinking it wouldn't look good. -First best friend: Technically I'd have to say a girl named Jenna. She and I had sleepovers when we were still in diapers. But really I'd have to say Kayla. We've been friends since 1st grade and we still are friends today. -First Award: Umm.... I don't know haha! I won coloring contests in elementary school. But the first major thing I remember winning was "Most Improved" in 8th grade. Making a switch from a public school to a private school was really tough. The expectations were completely different and I wasn't prepared. It took me a year and a half to get my act together. -First Sport You Joined: T-Ball. I didn't want to play. But I did anyways haha. I played softball in highschool too. I'm not sure why. I really didn't enjoy it (man, those balls leave some nasty bruises, just ask my friend Kim!). I liked basketball (which I also played) but I wasn't very good, I just thought it was fun. -First Real Vacation: We used to go camping all the time when I was little. I remember going to Maine, to Cape Cod, and to our campground in the Catskills. We also went to Disney World when I was 9. -First Concert: That would be Michael Bolton. 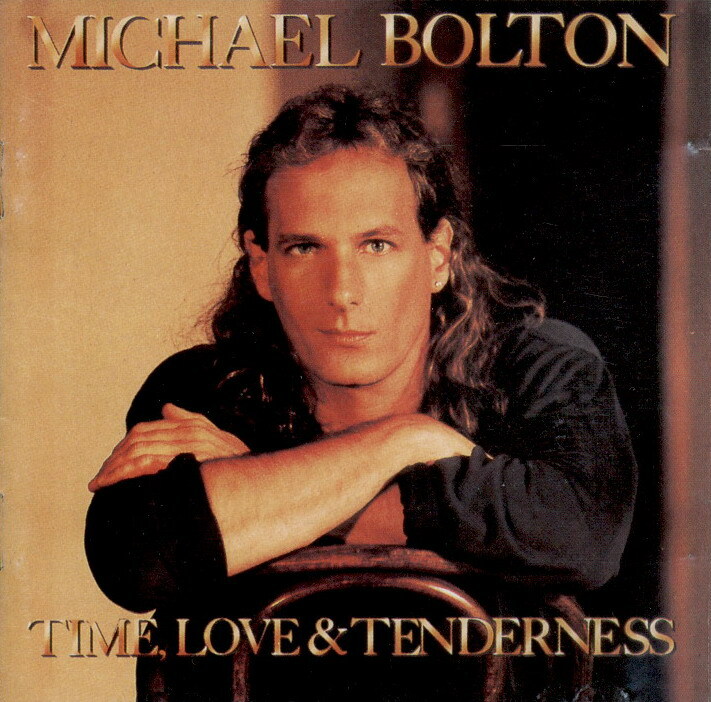 Let's hear it for Michael Bolton everyone! Thank you to my sister for that. We got tickets for his concert one Christmas. I was jealous that we didn't get Paula Abdul tickets too. -Movie: So many! I love movies! All of the Toy Story movies, Meet the Robinsons, The Proposal, Easy A, I Love You, Man, Alpha Dog, A Perfect Getaway, How to Lose a Guy in 10 Days, Bridesmaids... gosh, I could just go on and on forever. But I still love "Mmm bop" by Hanson (like legit, I start bouncing and singing everytime this song comes on), same with "Baby One More Time" by Britney Spears. Oh and a new favorite of mine is "Get Your Money Up" by Keri Hilson, Keisha Cole, and Nicki Minaj. -Restaurant: I don't know. I like going to inexpensive places. But if I had to pick one, I'd have to say Canali's in Rotterdam, NY (that's where my hubby proposed to me). -Store: Target!!! I love Target. I could just walk around there forever haha. -Shoes: I'm not as shoe crazy as the average girl but I think that's because I have fat feet (and a bunion. ewww haha) so I have a hard time finding shoes that fit me well. But for some reason Target shoes always fit. -Feeling: I feel really emotional today which really isn't a common thing for me. My husband asked me to make fried apples sometime so I made them this morning and he tasted one and said, "I'm not really a fan" and I cried. And it was so stupid. -Single or Taken: Married baby! It'll be 5 years in April! -Listening To: My daughter run around with "Bob" which is the stuffed animal that gets sent home from school with the best behaved child of the day (so proud!)! -Wanting: Perhaps another cup of coffee. -Watching: The words appear on the computer as I type them. -Want Children? : Probably not any more. But I think I want another dog (which are more work than babies!). -Want to be Married: Already done! -Careers in Mind: Makeup artist or bridal consultant (or perhaps a mix of the two). -Where do you want to live? : Well, we own our house here in North Carolina but I'd like to say closer to my family, who live in New York. -Miracles: Sure do. 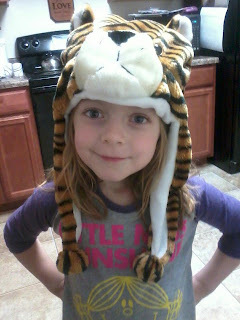 That little girl is my miracle! -Aliens: I don't think so. -Soul Mates: Sure. I mean, I think that it's definitely possible to fall in love with multiple people (preferably not at the same time haha). But I like to think that there's one person who completes you better than anyone else has or will. -Heaven: Yes. When my nephew died, it was especially comforting knowing that he's in heaven. -Hell: Yes. And I hope that's where anyone who hurts children the way the man who killed my nephew go (not a nice thing to say, I know, but really, how easy is it to forgive someone for something like that?). -Kissing on The First Date: If that's what you feel like doing, go for it. -Yourself: If I'm being completely honest, probably not as much as I should. So that's that! I hope you guys enjoyed reading this! And I really hope if you have a blog you do this too! If you leave me a link, I'll definitely read it! I really honestly enjoy getting to know the person behind the blog! I hope you have an awesome day!!! Thanks so much!! Aw, cute survey! Thanks for taking the time to fill it out and let us get to know more about you! Love these!! And I love Target too! I could spend forever in there, and lots of money too! haha theres any albany near where I live lol, but we pronounce it a bit differently :P thanks for sharing! I love this! DEF a great way to introduce yourself to everyone!! I think I will do the same!! BTW... YOU ARE SO GORGEOUS!! Thank you guys so much for taking time out to read this and I'm glad you enjoyed it! Gosh its so refreshing to see someone answer "yes" to the "Do You believe in God" question!